Solar charger for laptop, mobile devices, cameras, GPS, tables and game consoles. Use for any outdoor activities: Hunting, hiking, camping, mountain biking, picnics, and at home. Small LED flashlight built in. The hottest product of 2014. It's just not enough to have a power bank for you phone, you need XSolars 5000 mAh power bank and solar power charger. This is the best of both worlds, you can use it as a charger plugged into an outlet and also use it in the outdoors to charge any device. XSolar Smart Solar Charger will charge your iPod, iPhone, iPad, Android Device, GPS Unit and Camera. It includes a USB port charging cable, 6pc mobile tip for any device, 1 FREE carabiner and a user manual. ONLY $24.95 with FREE SHIPPING! Disclaimer: You must be 18 or older to purchase this item. 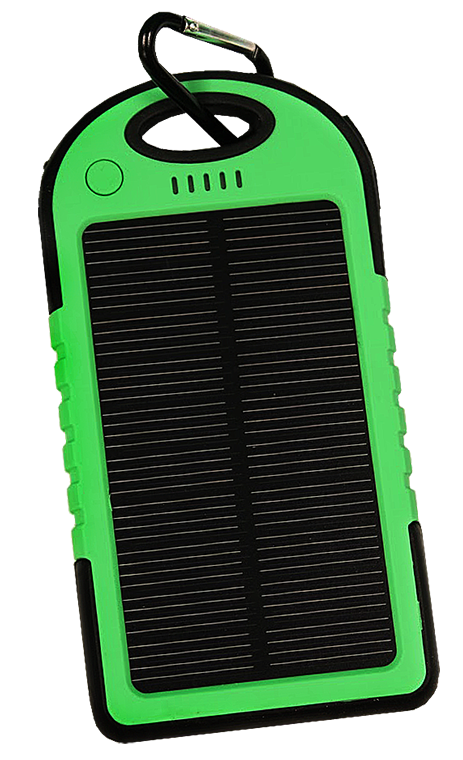 SurvivalKit holds no responsibility for an individual's actions once a XSolar solar charger is purchased. It is the buyer's responsibility to know the laws of their state. Failure to do so could result in embarrassment, injury, death, imprisonment, or one of several other very bad outcomes to you or to others around you. The bearer of these XSolar solar charger accepts all responsibility for their use or misuse.